Led by the Rudd family since 1996, our remarkable team works together with a singular focus to achieve the absolute pinnacle of the land’s potential. We match skills and purpose with passion. We celebrate value creation, innovation, continuous improvement, hard work, integrity and results. We are experts in our fields yet are open-minded, encouraging team members to challenge assumptions and generate new knowledge through unlikely collaborations. We are blessed to be stewards of this land and work tirelessly to fulfill our generational promise to do better than the preceding generation. Leslie’s journey into the food and beverage industry began when he joined his father’s alcoholic beverage wholesale distribution business in Wichita, Kansas. Due to his leadership, Standard Beverage Corporation grew to be the state’s largest alcoholic beverage wholesaler and represents most of the world’s premium wine, beer and spirits brands. Intent on furthering his experience, Leslie expanded into the specialty foods space successfully launching and investing in several national restaurants as well as adding the iconic Dean & DeLuca to his portfolio, which he owned until 2014. In 2005, Leslie desired to cast a new vision on the steakhouse concept and take inspiration from the famed L’Ami Louis of Paris in creating PRESS Restaurant, a modern steakhouse located in St. Helena, California. PRESS Restaurant features the largest list of Napa Valley wines in the world with vintages back to the 1950s. Leslie’s passion for bridging the gap between the past and present is further evident in the 2012 renovation of Oakville Grocery, which he purchased in 2007, to make sure that it would remain open as one of the oldest groceries in the country. Each of these ventures share a commitment to excellence and appreciation of artisan products by blending the traditions of the past while instilling a modern twist. Before his passing in 2018, Leslie handed over the reins to his daughter Samantha. Leslie's wife, Susan, is responsible for the beautiful gardens on the Estate. She can be found digging in its soils with a beautiful glow about her. Her smile and warmth are felt across the entire Estate. Samantha grew up on Rudd Oakville Estate where, at age nine, she decided she would do whatever it takes to care for the land and fulfill a generational promise that she made to her father—that upon taking the reins at Rudd, she would leave the Estate to the next generation better off than when she assumed leadership. At the time, she knew little of the hard work and decades-long journey that would lead her to where she is today. Samantha remembers the lessons instilled by her father through two decades of working side-by-side on the Estate. The core beliefs of stewardship, earned success and an uncompromising dedication to excellence were distilled into that generational promise that guides her today. She spent several years working outside of the family business learning from some of the best in the world, including Château Margaux and Spottswoode, both female run and owned winery estates. Samantha returned to Rudd in December 2015, a homecoming she had been anticipating for as long as she can remember. 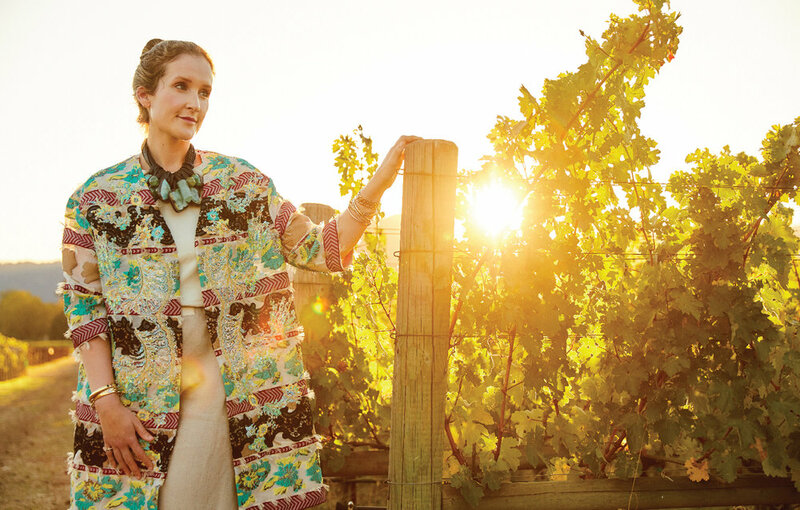 She immediately began implementing her long-term vision, ranging from championing the Estate’s organic farming practices to fostering unlikely collaborations that seek inspiration beyond the world of fine wine.